Maslow’s hierarchy of needs helps us understanding what motivates learners. Abraham Maslow introduced his concept of a Hierarchy of Needs in the 1950’s. His hierarchy proposes that people are motivated to fulfill basic needs before moving on to meet higher level growth needs. This hierarchy is most often displayed as a hierarchical pyramid with five levels. The lowest levels of the pyramid are made up of the most basic needs, while the more complex needs are located at the top of the pyramid. The four lower levels are considered physiological needs, while the top level is considered growth needs. 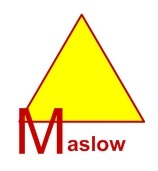 Maslow’s believes that the lower level needs have to be satisfied before higher needs can influence behavior. 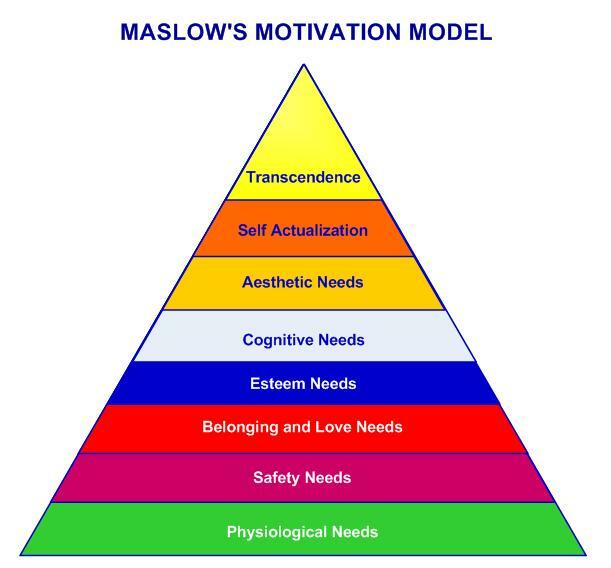 The basis of Maslow’s theory of motivation is that human beings are motivated by unsatisfied needs, and that certain lower needs need to be satisfied before higher needs can be addressed. Needs at the bottom of the pyramid are basic physical requirements including the need for food, water, sleep, and warmth. Once these lower-level needs have been met, people can move on to the next level of needs, which are for safety and security. Once these needs have been reasonably satisfied, one may be able to reach the highest level called self-actualization. All people are motivated to move up the hierarchy toward a level of self-actualization. Unfortunately, progress is often disrupted by failure to meet lower level needs. This lowest category includes the most basic needs that are vital to survival, such as the need for water, air, food, and sleep. Maslow believed that these needs are the most instinctive needs because all needs become secondary until these needs are met. These are the needs for safety and security including shelter, job security, health, and safe neighborhoods. Security needs are important for survival, but they are not as important as the basic physiological needs. These are the needs for belonging, love, affection as well as for relationships with family and friends and companionship. After the more basic needs have been satisfied, esteem needs becomes important. These needs include self-esteem, achievement, confidence, recognition, and accomplishment. 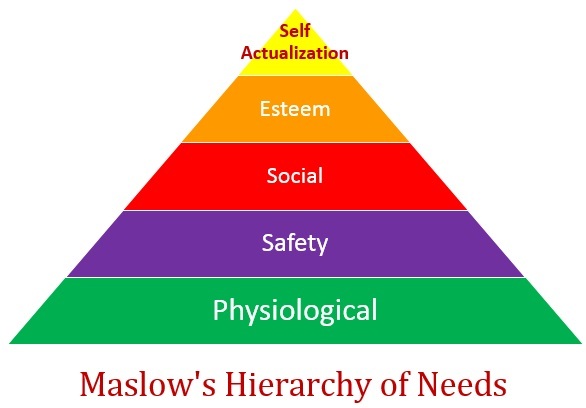 Self Actualization is the highest level of Maslow’s hierarchy. This level of need pertains to what a person’s full potential is and realizing that potential. “What a man can be, he must be” is the basis of the perceived need for self-actualization. Maslow describes this as the desire to become everything that one is capable of becoming. Biological and Physiological – air, food, drink, shelter, warmth, sleep, etc. Belongingness and Love – love, family, affection, intimacy, relationships, etc. 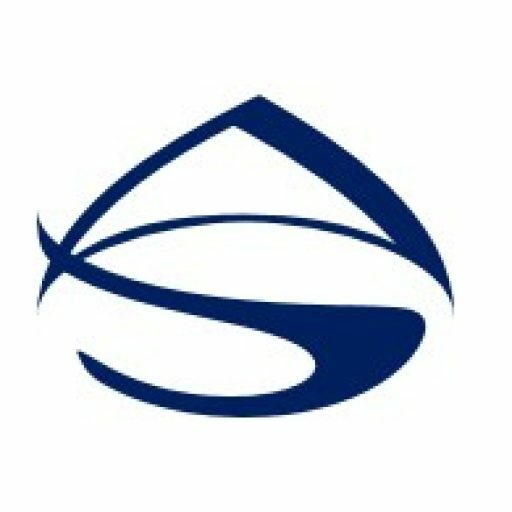 Esteem – self-esteem, achievement, confidence, independence, status, respect, etc. Self-Actualization – realizing personal potential, self-fulfillment, personal growth, etc. Maslow’s theory has been elaborated upon by other researchers. Maslow’s original five-stage model has been adapted by other researchers who have interpreted Maslow’s writings to develop both seven and eight-stage hierarchy of needs pyramids.